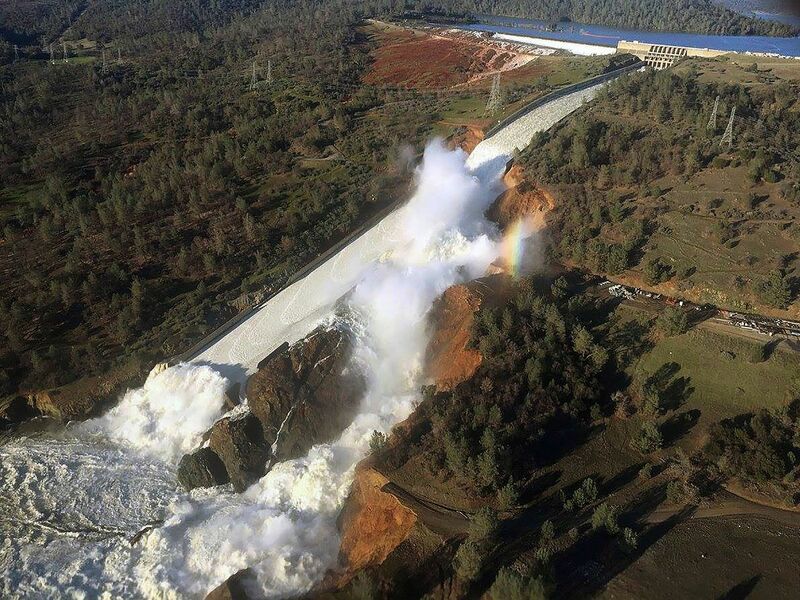 A series of storms recently battered northern California, causing the nation’s tallest dam to overflow and prompting the evacuation of more than 200,000 people. The waters have begun to recede, revealing the extent of the damage: The spillway at the Oroville dam was carved in half and the adjacent hillside was stripped to the bedrock. Watching from a distance, ASU geomorphologist Kelin Whipple was hooked. The professor in the School of Earth and Space Exploration studies how the Earth is shaped by climate, tectonics and surface processes. “I work on how rivers cut through rock,” he said. Still, there are lots of aspects about the catastrophe that intrigue him, and he’s considering adding a lesson on the dam to next year’s syllabus. He sat down with ASU Now to discuss why happened, how it happened and how it all comes back to climate change. Question: Most dramatic erosion — canyons on the Colorado Plateau, for example — is done by muddy, silty rivers, but this was done by clear water. What does that mean to you? Answer: A lot of erosion by rivers is thought to be done by the tools they’re carrying, by sand-blasting, for one thing, but also big rocks smacking along the bottom; the bed load being a big factor in the efficiency of erosion. This was a case of stuff coming in with no tools and eroding like crazy. It kind of proves some of the stuff I’ve been working on, which says you don’t need tools. The tools will help in the right cases, but it’s not the only mechanism. Q: Can you explain what happened? A: The spillway has an access road that loops around. As long as the water is spread out as a pretty thin sheet, it would probably come down and not do a whole lot of damage. I think the real problem … is they had this road down here, a raised road; you have little waterfalls that get set up. The water is pouring over the road, plunging down. It’s got a whole bunch more energy to attack. Once the water attacks, it starts getting in a groove. That’s a focal point for more water to collect there, and get higher and higher stresses, and to dig in deeper. Q: It’s an amazing display of the power of water. Feast and famine — that’s basically what climate change is all about. Q: Is there a relation between the drought and the mudslides and sinkholes we’ve been seeing? A: I don’t know about the sinkholes, but the thing about the drought and the floods are two sides of the same coin of climate change. On the one hand, it’s one of the wettest years in California history. It’s great, because it’s breaking the drought for the surface water. In that sense the drought is over or close to over. (But) there’s a huge deficit in the amount of ground water. That takes many, many wet years to recover. … But the same climate change that increases the chance of dry periods and mega droughts increases the chance of the occasional great, big, wet year and giant storms because there’s more energy in the climate system. It’s energy and solar insulation and think of it as temperature that drives the rate of evaporation and drying out the soils. But that same amount of energy is providing energy to the sea surface and warming it up, so you’re evaporating faster off the oceans too. When you get one of these atmospheric rivers, these huge bands of moisture come in and hose California.